Q – Can I just listen to the CD on speakers or do I have to use headphones? A – You need to use headphones to get the most benefit from this therapy. Headphones are the best followed by Ear Buds, but speakers will not do the job. Headphones direct the frequencies directly into your body and offer flexibility as to where you place them. We like the type of headphones that swivel. This allows you to lay them flat so you can place them on your back or in the waistband of your pants when working on those areas. Q – Can I put my headphones over my clothes or do I need to have them directly on skin? A – Direct on skin seems to be the best, but playing the frequencies through a layer of clothing works too. Don’t play the frequencies through multiple layers, as it will lose some of its strength. Q – What do you mean when you say I don’t have to hear the frequencies for them to be effective? A – Sound waves flow freely through water and our body is mostly made of water. Sound waves can enter anyplace on our body. We have many people that are working on bad knees or bad shoulders that never place their headphones on their head. They strap them on their leg or shoulder, wherever they want and are being very successful at healing their bodies. Q – You have said that I should use the CD three times each week; can I use it more often? A – We recommend that you use our CD a minimum of three times each week. You can use the CD as often as you want because you cannot overdose on Sound Therapy. Many people use our CD’s daily. Q – How much time is involved in listening to this CD? A – All of our CD’s have three tracks. Track One is a short introduction what is about 2 minutes long. Track Two is the Alignment Track and lasts approximately 16 minutes. Track Three is usually between 45 and 60 minutes depending on which CD you are working with. Q – Sometimes I get interrupted while doing the therapy, does this make any difference and do I need to start all over or can I just pick it up where I stopped. A – We recommend you finish the Alignment Track all the way through. If you stop you should try to pick this one up where you left off. It is important that this track be played in its entirety and in the correct order. For the remaining track, it really does not make any difference. You will receive the benefit of what you have heard up to that point and you can pick it up and go on from there or just start over. Q – Are all of your CD’s the same price? A – No, most of our CD’s are $47.00, however a few are more expensive because of the length of the therapy sessions and the need for multiple CD’s to deliver it. Lyme Disease is 4 CD’s and Charcot Marie Tooth, HIV and ALS are all 2 CD sets. For these CD sets we charge $67.00. The Obesity series is 5 CD’s and sells for $97.00. Q – How soon can I expect to see results? A – Everybody is different, we have had people report that they started seeing or feeling changes after using the CD only once or twice. Others have said it took a few weeks for them to start experiencing any changes. Still others said it took six weeks for anything to happen. The key is to be consistent on your use of the CD’s and to be patient. Your body wants to be healthy, give it the time it needs to turn things around. Q – How do I know this is working? Q – Does Sound Therapy work on pets? A – Yes, it works well on dogs and horses. In fact one of the first test cases was done on a racehorse that had a torn tendon. You can see one of the case studies by going to www.elizabethbauerconsults.com/pdfs/Frac1.pdf. It is very interesting and has x-rays that show how the healing process progressed. Q – How long does it take to get my CD? A – We will mail your CD(s) out to you the next business day. It typically takes 3 to 4 days for your CD to arrive. Q – Can you work with more than one CD at a time? A – Yes, we have people that are working on two or three CD’s and rotate them throughout the week, working with a different CD each day. We also have people that work on two CDs per day. In fact, I have talked to some of our customers that have two CD players and are working on two sound therapy sessions at the same time. Therapies such as Sciatica, Inflammation, Injuries and Circulation seem to work very well together. If you are working with multiple CDs you would not have to use the Alignment track each time since every CD has the Alignment Track on it, just skip over and only have that one going once per day or every other day. Q – Can I play the Alignment part in the morning then play the other protocols later in the day when I have more time? A – Yes, you do not need to follow the Alignment segment immediately with another protocol. We have many people that only listen to the Alignment protocol once a week and do the other protocols daily. The beauty is that this is working. Sound is truly a wonderful healing tool that stays with us long after the CD is done playing. Q – Some people do not have credit cards, can they still get your CDs? 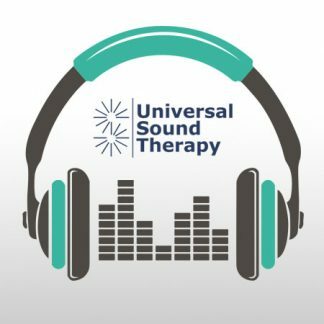 A – Yes, we will accept a cashiers check or money order, personal checks take longer because they need to clear the bank first, but you can send your check to us at Universal Sound Therapy, PO Box 158, Verndale, MN 56481. If you have other questions or want to visit, please give us a call at 218-833-2325.